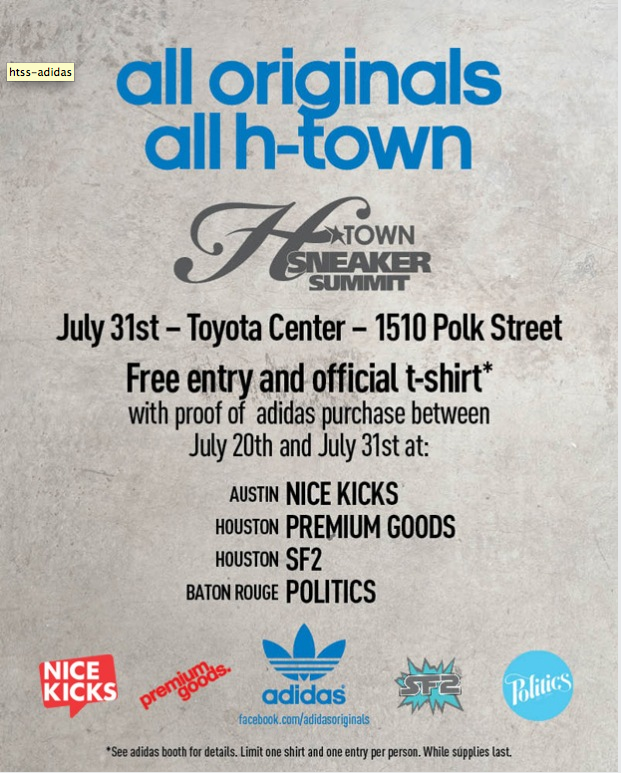 Adidas and the H-Town Sneaker Summit have teamed up for a pretty neat deal. Beginning July 20th and lasting up until the day of the Summit (July 31st), you can gain free entry into the Summit by merely purchasing a pair of Adidas at the following stores: Nice Kicks in Austin, SF2 & Premium Goods in Houston & Politics in New Orleans. The best part beside the free tickets? How about a free “All Original, All H-town” at the door. So switch it up and grab some Shell Toes or something this week.